The easy way to get started with iOS programming. Alasdair takes you through the baby steps to becoming a iOS developer like a caring parent with just the right amount of patience and prodding. Then skillfully takes you all the way to submitting an app to the app store. It worked for me! From complete novice to app store in five months. That's my story. I wanted to try iOS programming so I went to one of my favorites sources (http://oreilly.com/) and started shopping. I purchased this book and it's sister publications "Programming iOS 6, 3rd Edition" and "iOS 6 Programming Cookbook"
I started at the beginning and followed each example dutifully. In less than a day I was getting comfortable and starting to get my own app ideas. By the time I got through chapter 8 I had all I needed to finish my first app. I referred to the other two titles as references and then returned to Alasdair's text Chapter 13 when I was ready to submit to the app store. That also went smoothly! I have an app in the app store! Now it's time for the next one. I highly recommend this book. It worked for me and it might work for you. I am an experienced Java developer with lots of experience delivering solutions to clients. This book will give you the knowledge, but you have to supply the drive and ambition. Best wishes! 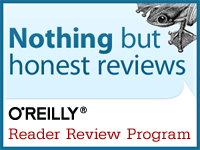 You can click on the book's title above or the link below to find this book @ oreilly.com.